Seremban is the capital city of Negeri Sembilan and is divided into 7 districts. It is located between Selangor and Malacca through the North-South highway. Over the years, Seremban has experienced a number of developments in various industries in the city, evolving it from a once quiet town into a modernised town with a number of attraction. 40 minutes away from KLIA. In the midst of a developing town, Seremban Lake Garden signifies the existence of greenery in Seremban. 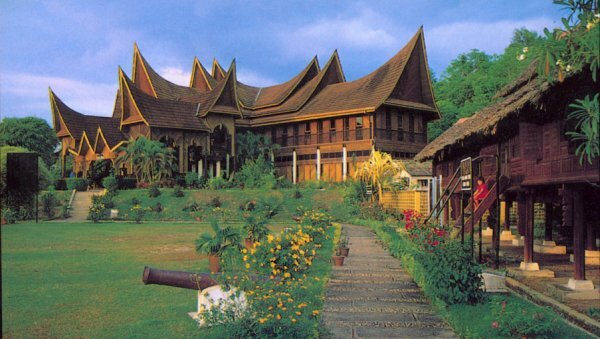 It is amongst the most popular recreational park in Seremban and is a common leisure destinations for many as well. It is also said to be the oldest lake garden in the country. This temple is situated 127 m above sea level atop Bukit Jung. Among the many features of the temple includes the giant centipede statue on a tree. It is also said that many centipedes enter and exit the temple freely. Bus travels to and from Seremban to many other cities has never been easier. There are several bus services at convenient timings from Seremban that are available for booking online on Catchthatbus or via mobile app which can be downloaded for free on Google Play or App Store.